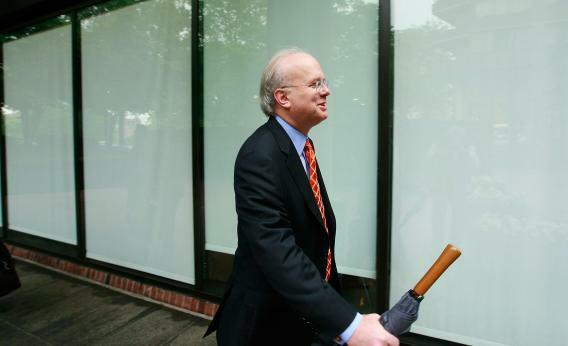 Conservative Victory Project: Controversy over Karl Rove's new super PAC is super lame. The single most overplayed story of the week is the “Republican civil war” breaking out over Karl Rove and Stephen Law’s new Conservative Victory Project. It’s overplayed because every player in the story wants to overplay it. Collegio, who’s in his early 30s, appeared to be using “hater” the way people in their early 30s use it. But Bozell joined a coalition of 24 conservatives—some obscure (Angelo M. Codevilla, author of a book that was endorsed by Rush Limbaugh during the height of the Tea Party) and some famous (Ginni “wife of Clarence” Thomas). All of them had an interest in looking like anti-Roves. We, the free men and women of this great nation, affirm everyone’s natural right to speak their mind, but we cannot and will not abide the unjust, personal broadside your aide Jonathan Collegio leveled against a man whose family has dedicated itself to advancing the cause of liberty for over half a century. This morning Mr. Collegio attacked L. Brent Bozell, III and labeled him as a “hater” twice in an interview. His attack was not grounded in reason or principle; its justification was nothing more than disagreement with your newly formed organization. Mr. Bozell is what we call in our movement a “legacy.” He has devoted his life to the cause of American conservatism as did his father, Brent Bozell II, who wrote “Conscience of a Conservative” for Barry Goldwater. Maybe you’ve heard of Brent’s uncle, Bill Buckley, whose words you misquote and twist as the basis for your organization enough to falsely suggest you know something about him. You may have heard of his other uncle, Jim Buckley, a former U.S. Senator, or Brent’s mother, Patricia Buckley Bozell—both important figures and writers in our conservative movement. Mr. Collegio calling Mr. Bozell a “hater” publicly on WMAL radio this morning reflects the language of the establishment Republicans. It is the divisive language of the Left. What is the next stage in the “war”? Why, more fundraising letters, on both sides! *Personal bias: I sat next to Bozell at a Greg Lake concert and obviously like the guy.